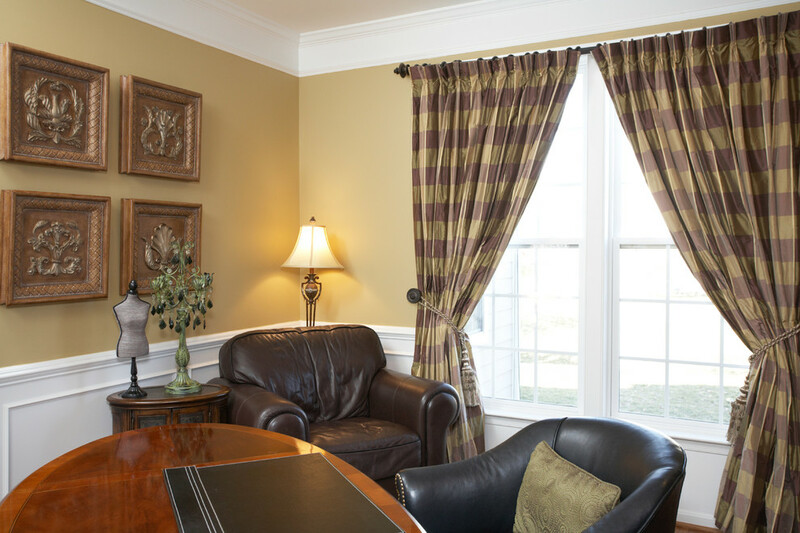 The client needed an office to be functional for two people at once. One at the desk and one at the computer station - (contained in built in). 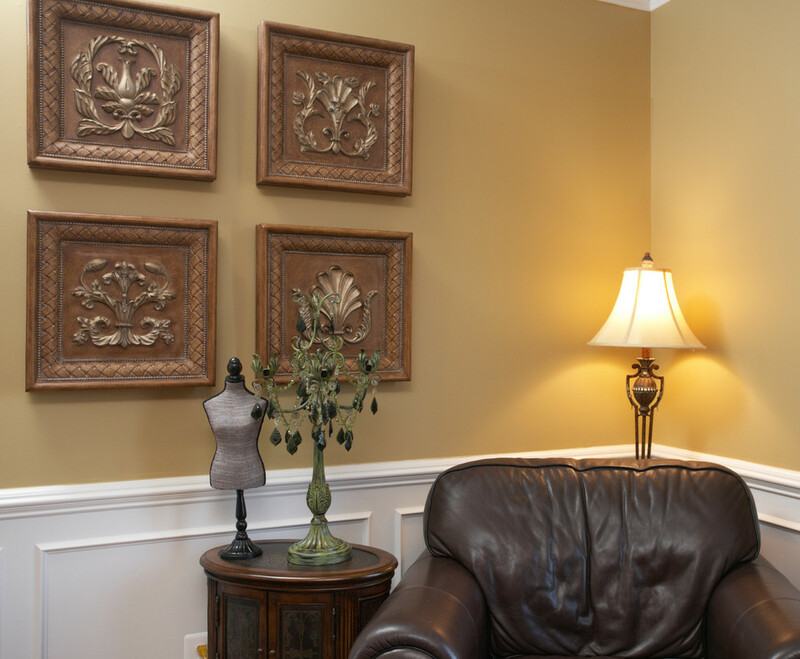 A comfortable leather reading chair softens the space and gives another use to the room. 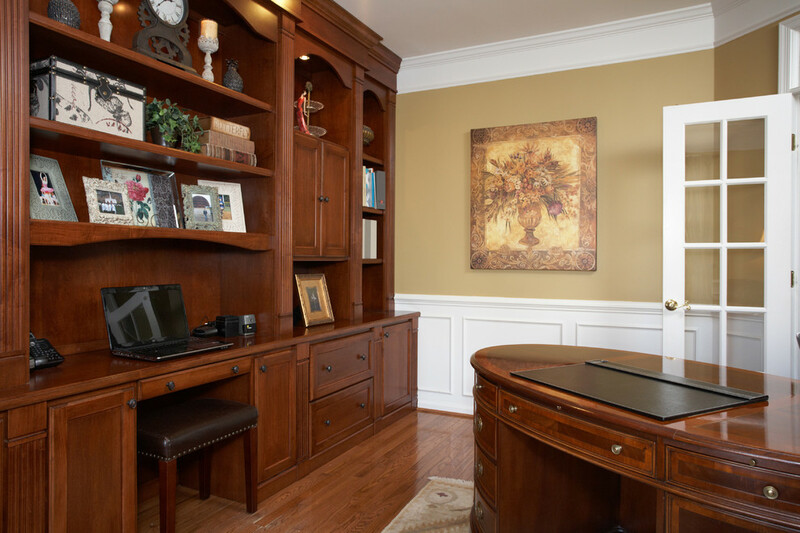 A home office can be both beautiful and functional. 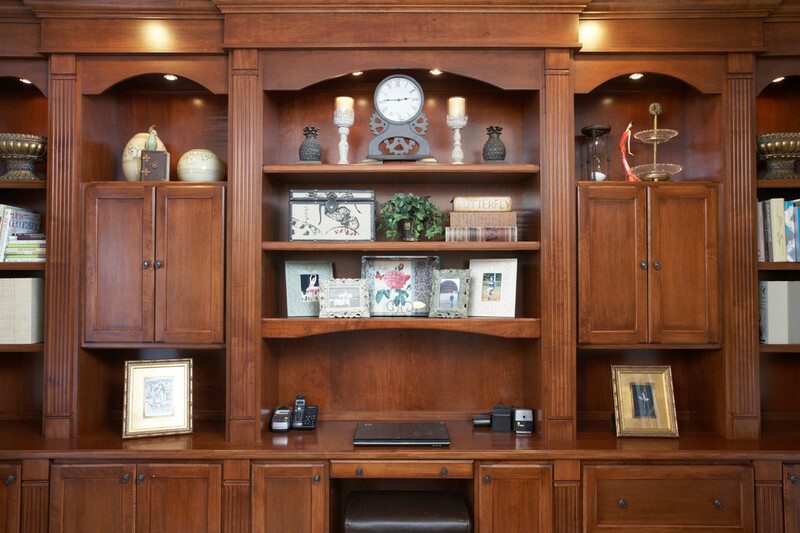 Custom built in's were made to coordinate with Hekman oval desk.